THE prison service in Northern Ireland is failing to meet its own target to reduce the flow of drugs at Maghaberry prison despite its efforts to seize drugs at the high security facility. New figures obtained by The Detail show that more than 1,300 drug seizures were made at Maghaberry prison between 2010 and 2016. The Northern Ireland Prison Service (NIPS), however, is failing to meet its own target to keep the percentage of prisoners testing positive in random drug tests below 12%. Between January 2015 and July 2017 over 6,000 random drug tests were carried out at Maghaberry as a tool to measure the misuse of drugs – illicit or prescribed – by prisoners. The Detail can reveal that 19% or one in five prisoners tested had drugs in their system, exceeding the 12% target set by the prison service. Over this period a further 9% of prisoners refused to take the mandatory drug test, pushing the overall failure and refusal rate to an average of 28% since 2015. Other internal figures show that almost 1,500 internal hearings for drug-related breaches by prisoners took place at Maghaberry over the past two and a half years - 1,000 hearings or adjudications were for positive drug test results and a further 440 hearings were for refusing a drug test. An additional 1,400 hearings were held for prisoners found in possession of unauthorised articles, such as excess medication or contraband items. Information on whether these prisoners were sanctioned or found guilty was not available but the figures are an indicator of the extent of substance misuse at the prison. Dubbed by prison inspectors as the ‘most dangerous prison’ in the UK two years ago, Maghaberry prison has been more afflicted by drugs than any other prison facility in Northern Ireland. Prison inspectors have repeatedly raised concern over the availability of drugs and a follow-up inspection in April this year found that prescription drugs in particular continued to pose challenges. This year also saw the arrest of two prison officers at the high security facility on suspicion of smuggling drugs into prison. 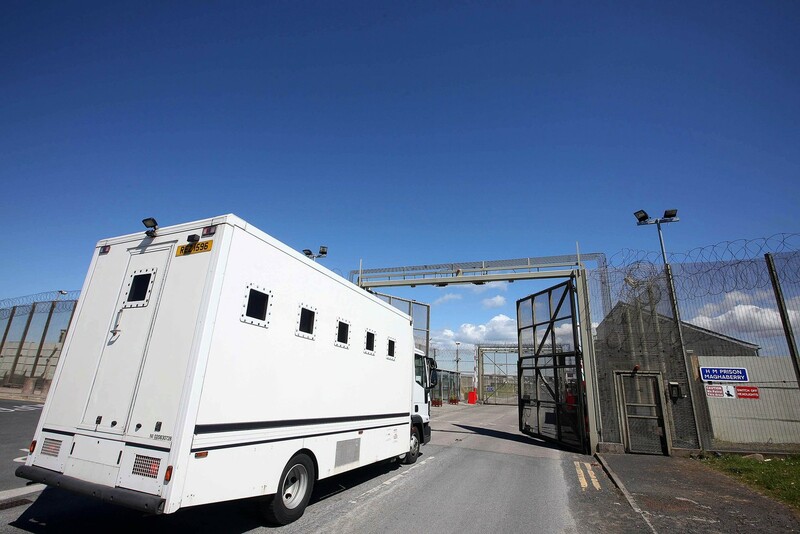 The drugs issue at Maghaberry came to a head in 2013 when the prison service joined forces with the PSNI in a ‘zero tolerance’ crackdown on drugs in October that year. The move was prompted by “an obvious drugs problem”, combined with a “significant increase” in drug seizures in 2013 and six potentially drug-related deaths in the previous two years, according to internal correspondence between NIPS and the PSNI obtained under FOI. It was anticipated that the operation would “obtain substantial drug recover figures, drug prosecution results and if we consider some media coverage perhaps positive PR also, all in a very short time frame,” the internal correspondence stated. Under the initiative prisoners were offered an amnesty if they were willing to hand over illicit or prescribed medication. Otherwise they faced prosecution. Prescription drugs, such as diazepam or valium, were among the most common drugs seized in the first two months of the initiative, as the following table illustrates. Since then prison and health authorities have introduced other measures to tackle the misuse of prescription drugs, in particular, at the all-male prison. One initiative is seeking to reduce the misuse of specific prescription painkillers and anxiety medication which have become associated with misuse. To date 48 prisoners have participated in the Lagan Project, which aims to reduce the use of Tramadol, an opiate-based painkiller, Pregablin and Gabapentin, drugs used to treat epilepsy, nerve pain, and anxiety, and Amitriptyline, an antidepressant. The prison service has also put enhanced security measures in place. In addition to lockable medical boxes being fitted in cells, more than £6,000 was invested in biometric scanners in pharmacy and treatment rooms to allow healthcare staff to positively identify all prisoners before medication is dispensed. The prison service said ongoing work on disrupting the supply of drugs has shown “positive results”. A spokesperson for the prison service said: “Programmes are in place to help reduce the demand for drugs by supporting prisoners with addiction issues. One programme being provided presents those who have failed a drug test the opportunity to engage in work that will support them with their addiction”.